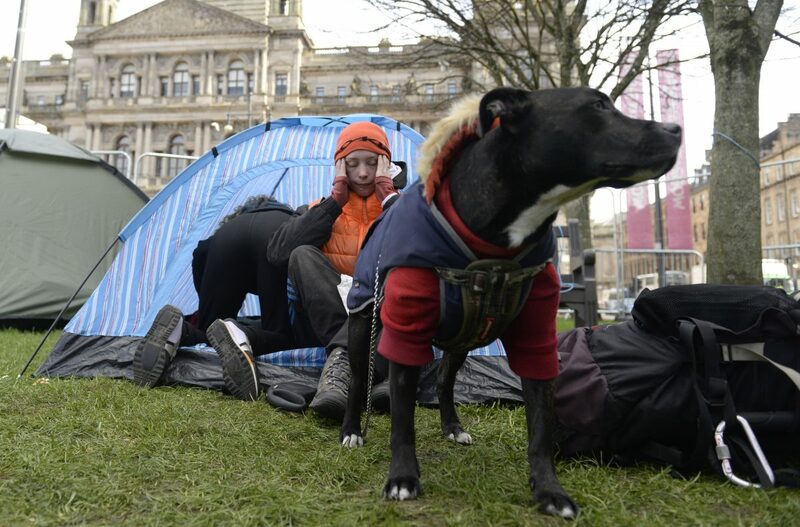 Homeless protesters have pitched up tents in Glasgow city centre – demanding the council gives them permanent accommodation. 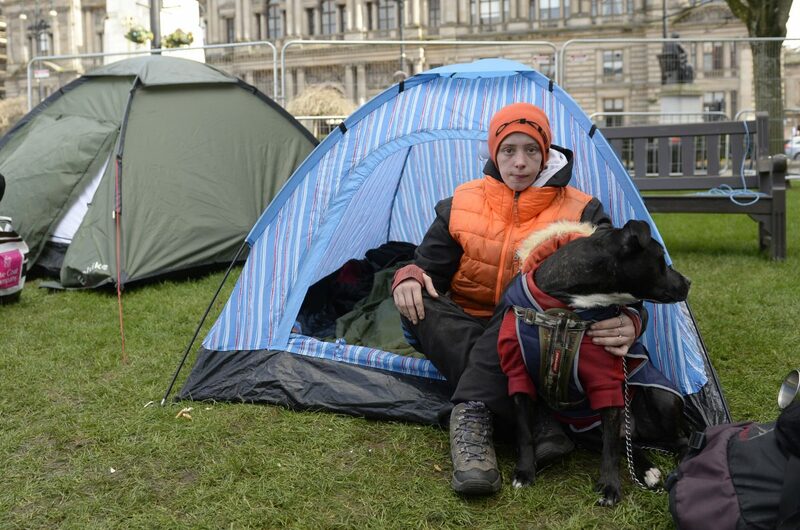 There are 10 homeless people and five tents situated on the grass areas of the square, but the group are trying to get more people from around the city to join them. 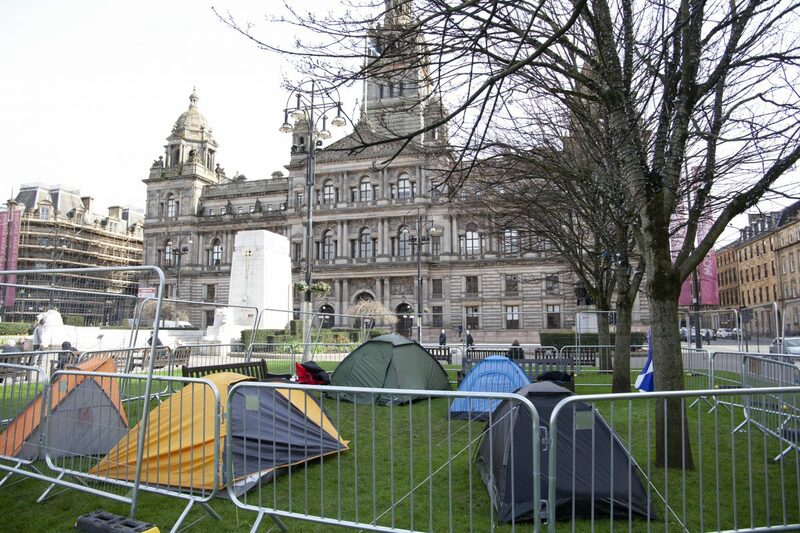 They ordered 300 feet of barriers and 300 feet of six-foot-high fencing, which was delivered yesterday afternoon on the back of a lorry.